In the 11th hour of the 11th day of November, 100 years ago, the guns fell silent along the Western Front. The “Great War,” which had claimed some 20 million lives and shook the centuries-old foundations of Western civilization, was over. Do Americans today know or care about the “Great War” that catapulted America into world leadership a century ago? In Europe, especially in Great Britain and France, Armistice Day, celebrated as Remembrance Day, is a national holiday. It is widely observed as a time to honor and recall the great sacrifices made between 1914 and 1918 at Ypres, the Somme, Verdun and other locales familiar to most who live in those countries. In the United Kingdom, 11 a.m. on November 11 is marked by two minutes of silence throughout the nation. America only entered the war in its last year. However, according to most accounts, the infusion of fresh “Yanks” to the trenches and fields of France and Belgium is what turned the tide of three years of stalemate that had devolved into little more than a war of attrition. The U.S. war effort mobilized some four million troops and cost more than 100,000 American lives. Aside from its actual role in the fighting, the U.S.’s entry into the war and President Woodrow Wilson’s central role in peace negotiations ushered in a new era — that of America as a world power. Yet while Gettysburg and Antietam or the battles of Midway, the Bulge, and Normandy have a familiar ring to most American ears, major U.S. engagements of the First World War such as St. Milhiel and the Meuse-Argonne strike a far more muted chord. For some time now, the war has earned the inglorious position of being America’s forgotten war. As if to prove the United States’ backhanded treatment of World War I, what was once called Armistice Day has for more than 60 years been known by the catch-all term “Veterans Day,” with presumably a minority of citizens knowing why the holiday is marked on November 11. 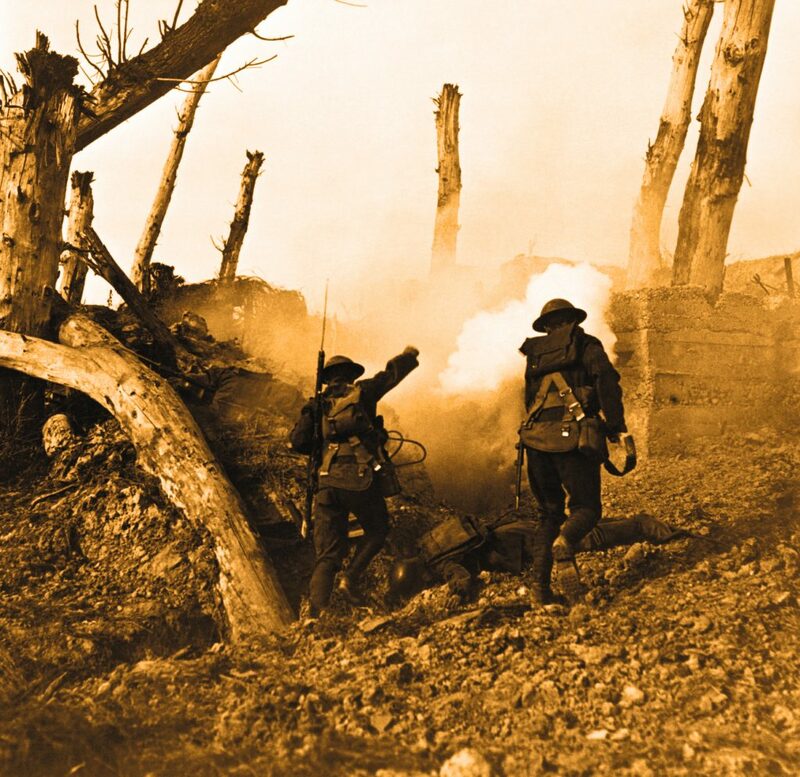 As centennial dates for World War I have come and gone, the nation’s official Centennial Commission, as well as individual historians, have done their utmost to spread awareness of key events of the war. This year, the president and other officials spent Armistice Day in France to commemorate the day with other world leaders. However, the American public remains largely unaware of this landmark date. The war that is largely considered the seminal event in creating the “American Century” has been relegated to a second-string position. Why? How critical was the U.S.’ contribution to the war, and how great was the impact of its participation on what was, until then, a largely isolated America? 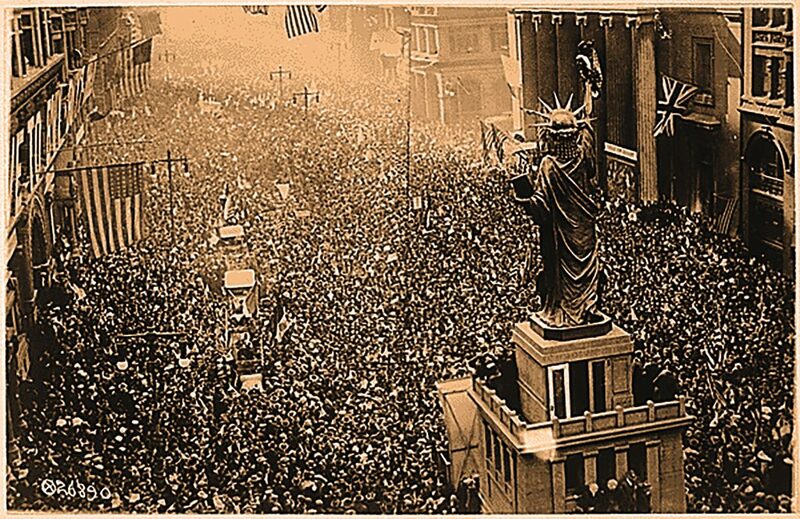 How did Armistice Day fade from the nation’s calendar and consciousness? Some of the basic facts explain the differences between the importance of the Great War in Europe versus the United States. The Allied Powers (Great Britain and the British Empire, France and the Russian Empire) and the Central Powers (Germany, Austria-Hungary and the Ottoman Empire) battled each other from August 1914 until November 1918, at the cost of millions of lives. America only declared war in April 1917, after Germany added a declaration of unrestricted submarine warfare to several years of reckless provocations. These included the Zimmerman Telegram, a missive encouraging Mexico to invade the U.S. Even after the U.S. declared war, it would take several months before significant numbers of American troops reached the fighting; the American Expeditionary Forces’ (AEF) full-scale participation lasted only little more than six months. Michael Knapp, the chief of Historic Services for the American Battle Monuments Commission, told Hamodia that along with the conflict being dwarfed by the war that followed a mere two decades later, the memories of World War I are the victim of time and cultural shifts. Sergt. Alvin C. York shows the hill in the Argonne Forest, near Cornay, France, on which his famous raid took place. The First World War did not start out as forgotten on American shores. As doughboys returned stateside in 1918 and 1919, they were feted with ticker tape parades and award ceremonies. The commander of the AEF, General John J. Pershing, was a revered figure for what was hailed as brilliant military leadership that led U.S. troops to victory in the nation’s first major debut on the international scene. Nicknamed “Black Jack,” an epithet that referred to the time he spent commanding an all-black cavalry unit during a series of Indian wars on America’s western frontier, General Pershing’s stoic countenance became a symbol of American pride in the country’s role in the war. Pershing Square, just outside of New York’s Grand Central Station, is but one of many locales named in his honor in the early post-war years. Returning soldiers were cheered as heroes and held up as models of how the brave American spirit could rid the world of old evils. 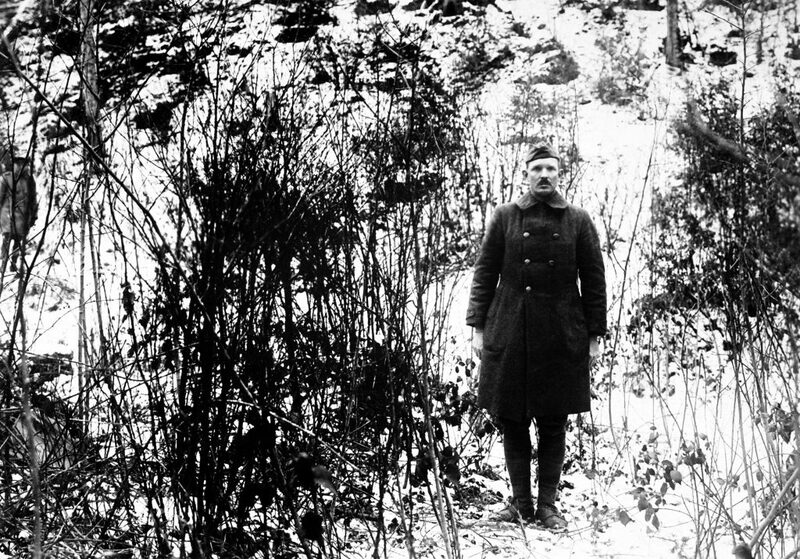 First among them was Sergeant Alvin York, a crack shot from the backwoods of Tennessee who singlehandedly killed 25 German soldiers and captured 123 more during the Meuse-Argonne offensive. The iconic Sergeant York, a devout member of an evangelical sect, initially tried to avoid military service by claiming to be a “conscientious objector,” and upon his celebrated return he adamantly refused to profit from his service, turning down many offers for paid appearances or product endorsements. Arguably the individual most dedicated to ensuring that remembrance of the war was ensconced in American memory was President Wilson himself. After nearly three years of resisting entry into the conflict, he led what he saw as a quasi-religious crusade to “make the world safe for democracy.” Seemingly confident that the struggle was the “war to end all wars,” the country’s victory to him was as much about the new world order that he struggled to create at Versailles as it was about American glory. 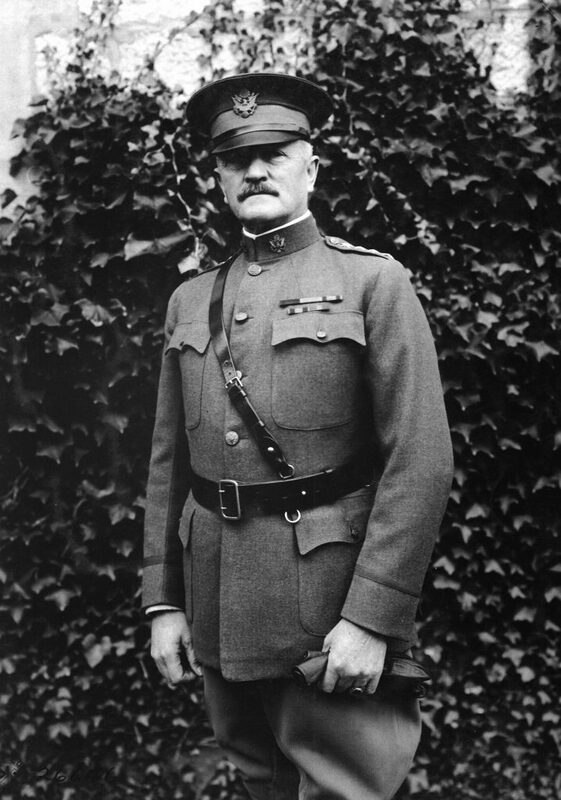 General John J. Pershing at General Headquarters in Chaumont, France. In the years that followed, statues, monuments and memorials to those who had served sprang up in cities and towns around the country. No matter where one lives in the continental United States, it is almost certain that there is one — probably unnoticed — nearby. A plaque to local war dead is mounted on P.S. 134 on Boro Park’s 18th Avenue, and Prospect Park is home to the Brooklyn War Memorial. 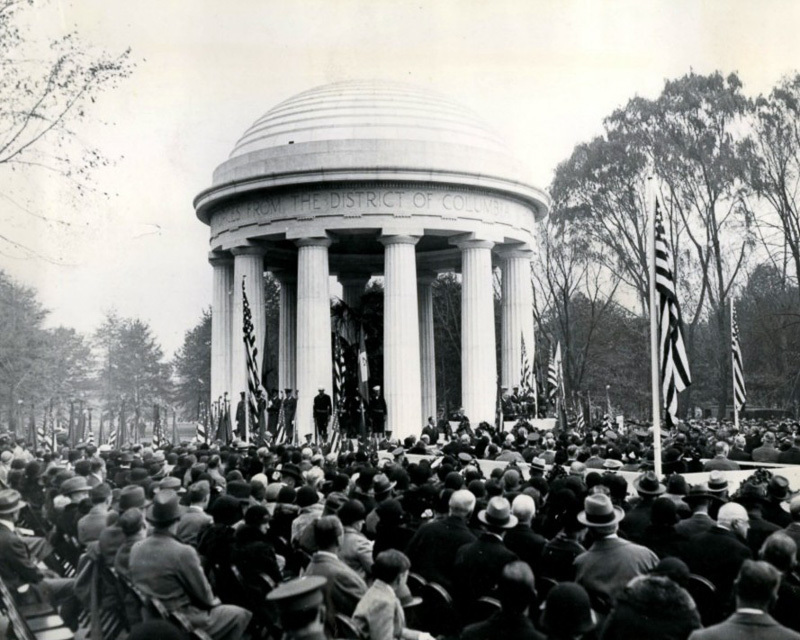 In 1921 President Warren G. Harding and General Pershing laid the cornerstone for a massive memorial in Washington, D.C., but as time went on, funding dried up and the project was never completed. 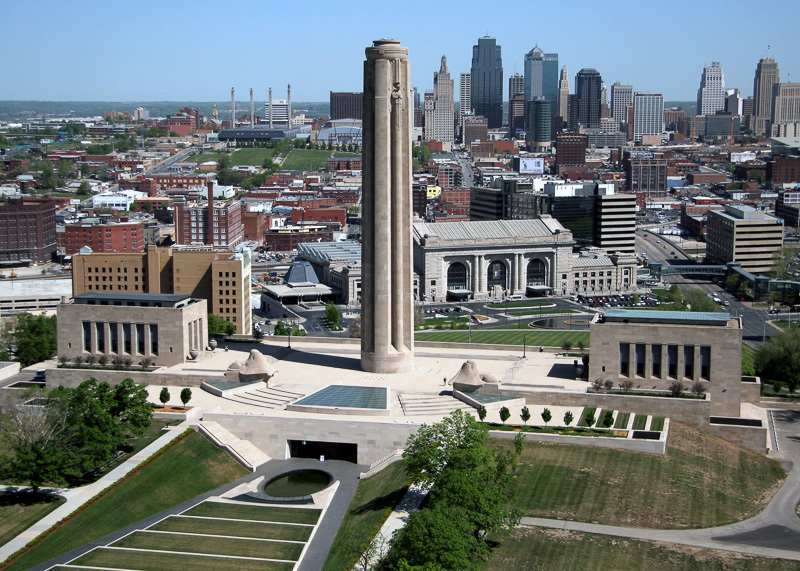 In 2009, art historian Mark Levitch began the World War I Memorial Inventory Project, an attempt to track down and catalogue the many monuments around the nation. The group’s map lists 1,212 locations, but many were found to have been vandalized or in varying states of neglect. “We all tend to be pretty cavalier about the monuments. Unless you stop and look at what they are, they just become part of the landscape and lose their meaning,” said Mr. Knapp. Even before the Second World War eclipsed what happed during the First, many Americans had developed reservations about the war’s legacy. In the late 1930s, a strong isolationist movement held sway over much of the country, and a poll found that 70 percent of Americans felt entry into the war had been a mistake. Historian Milton J. Cooper noted that in 1937, Congress marked the 20th anniversary of America’s entry by honoring members who had voted against the declaration. Before and after that, several pieces of “neutrality” legislation were passed which would go on to hinder President Franklin D. Roosevelt’s efforts to aid the British in their lone struggle against the Axis powers. Mr. Knapp said that many veterans themselves had a hand in this movement which not only influenced policy, but affected the war’s place in the national memory. Despite the short shrift the Great War receives from the American public, and the relatively brief time the AEF spent fighting, historians say that the U.S.’ role in ending the horrific conflict was crucial. Many agree that Germany, terribly depleted and starved on the home front by an Allied blockade, probably would have eventually surrendered with or without American participation. However, it is widely believed that the costly war would have dragged on much longer and that German surrender might have only been achieved under far more favorable terms for them. America offered not only sheer numbers of men. Its troops were fresh, as opposed to the British and French, who at that point were terribly worn down after more than three years of horrific death and destruction the likes of which the world had never before seen. The American army also came with what seemed like limitless supplies to support the army, in stark contrast to other combatants whose nations had already seen years of shortages and rationing. While some blame high American losses on the inexperience of the AEF’s officers, despite their newness to the war, U.S. forces were largely successful in stopping major German advances at Belleau Wood, and they broke though the Hindenburg line at the Meuse-Argonne. 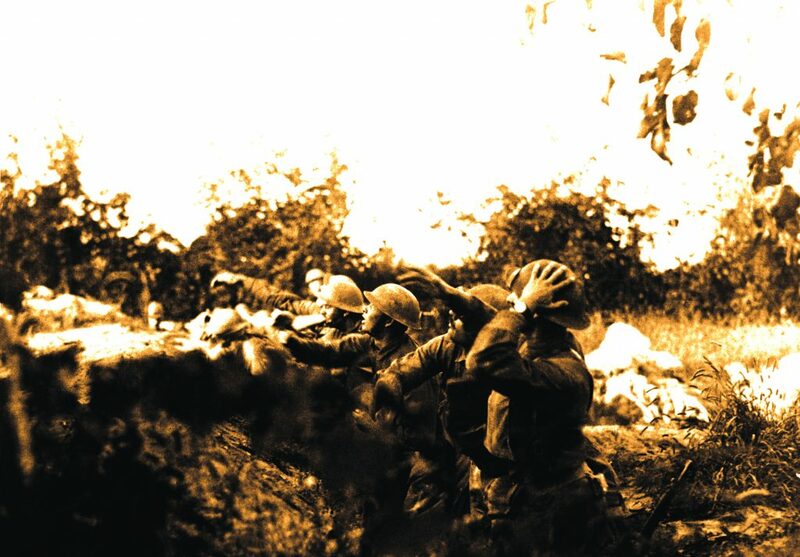 The 47-day Meuse-Argonne offensive remains the largest single operation in U.S. military history and was only ended by Germany’s offer of surrender. Following the war, the American armed forces would be massively reduced over the 1920s and 1930s, but when the time came to gear up again for World War II, the lessons of the First World War loomed large. The war was the first time that so large a swath of society had participated in an overseas campaign, and the scale of industrial mobilization on the home front needed to support a 20th-century, mechanized war was something new as well. On the battlefield, it was the first time that Americans used certain kinds of technology that would define the coming wars — in particular, air power. Perhaps most significant, the war trained a generation of military leaders who would become household names a generation later. Generals Douglas MacArthur and George C. Patton both distinguished themselves in service in France during World War I. The American commander whose experiences arguably had the greatest bearing on the future of the American military was George Marshall, who served as General Pershing’s aide-de-camp and played a major role in reorganizing units in a way that streamlined communication and coordination. General Marshall would go on to serve as Chief of Staff during World War II, earning the title “the organizer of victory.” Presumably, much of the skill with which he managed a huge army fighting overseas in tangent with with foreign armies was largely learned in his apprenticeship on the Western front. Possibly the most permanent change the war brought for America was its image change from an isolated anomaly to a dominant force on what was now a vastly altered international scene. 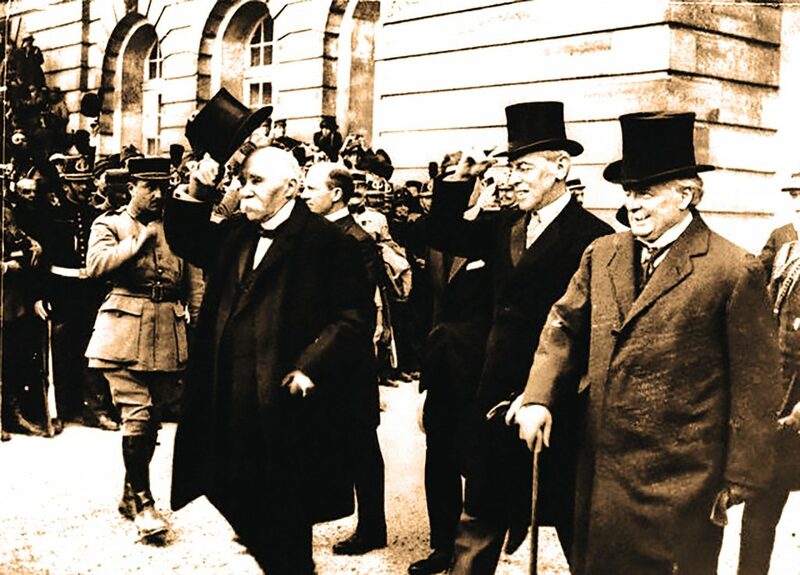 America’s arrival on the Western front just as the age-old powers were exhausted and on the verge of collapse would leave European nations with little choice but to treat the U.S. as an equal. President Wilson’s “Fourteen Points,” which was the basis for the armistice and dream to dismantle the old world and re-create it in America’s image, civilly regulated by the League of Nations, guided much of what went on at peace talks at Versailles. When Congress rejected the treaty, largely crafted by Wilson, their refusal to be a party to the League certainly blunted America’s so recently flexed diplomatic muscles. Yet the effects largely remained. District of Columbia World War Memorial. So What Happened to Armistice Day? By October 1918, facing what increasingly looked like certain defeat on the battlefield, and on the verge of revolution at home, German political leaders began sending telegrams to President Wilson in search of peace terms. Despite the fact that they had been fighting the British and French for far longer, the Germans assumed that President Wilson, who had spoken of “peace without victory,” would offer more charitable conditions. They were correct, yet the final agreement included far harsher terms added mostly by French Marshal Ferdinand Foch, the Supreme Commander of the Allied forces. Following a month of negotiations, the final agreement was signed at 5 a.m. on November 11 in a railway car of Marshal Foch’s private train parked in the Forest of Compiègne, and was set to go into effect at 11 a.m. that morning. 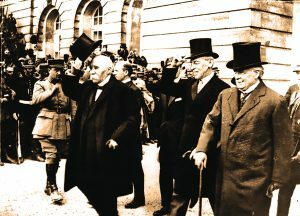 The formal peace would not be sealed until the signing of the Treaty of Versailles in June 1919. In a tragically ironic twist, in 1940, in an effort to humiliate the then-vanquished French, Adolf Hitler and officers of his high command forced French commanders to surrender in that selfsame car, which had been returned to the location of the Armistice signing years before as a monument to victory. On the morning of the 11th, even as news of the armistice spread along the lines of all armies involved, fierce fighting continued until the last moments, and several shots were fired after 11 a.m. as well, some fatal. 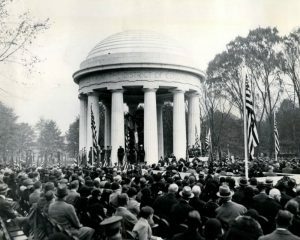 Through the 1920s and 1930s, Americans commemorated the armistice as a day dedicated to “perpetuate peace through goodwill and mutual understanding between nations,” as a 1936 Congressional proclamation read. In the 1950s, after the Great War had conclusively been shown not to be the “war to end all wars,” groups of World War II and Korean War veterans lobbied Congress for a more inclusive holiday to honor all who had served the nation. In 1954, President Eisenhower signed a bill officially declaring November 11 to be Veterans Day. 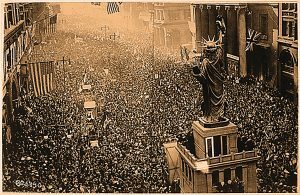 “At that point, World War II veterans held the real sway in changing from Armistice Day, and rightfully so. It’s important to have a day to honor all veterans. It’s just a shame that its roots aren’t really recognized,” said Dr. Yockelson. 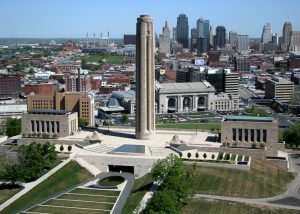 Liberty Memorial, Kansas City, Mo. The switch would not be without controversy. In 1968, the Uniform Monday Holiday Act moved several holidays to dates that would create “three-day weekends,” and what was then Veterans Day was moved to the fourth Monday in October. However, the move elicited protest, not only from many aging World War I veterans but from many others who felt that this had bankrupted the day of its historical significance. In 1971, when the legislation took effect, many states and veterans groups continued to hold their commemorative events on November 11, despite the federal switch. In 1975, after a few years of confused observance, President Gerald Ford signed a bill moving Veterans Day back to November 11.